During the meeting, some members shared their personal stories about Harry. 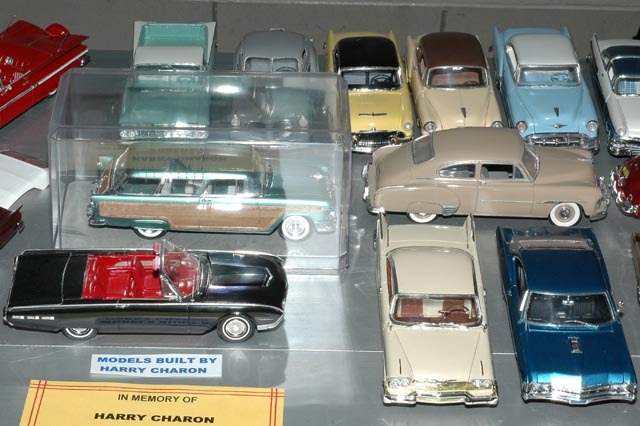 Matt Guilfoyle pointed out that the black-roofed bright yellow 1954 Mercury in the center of the top row above was a resin "Get Well" kit he'd given to Harry in the hospital while he was recovering the first of what would become a long string of heart attacks. When visiting Harry after his second heart attack, Matt informed him that he'd have to find a better way of getting resin kits from now on.